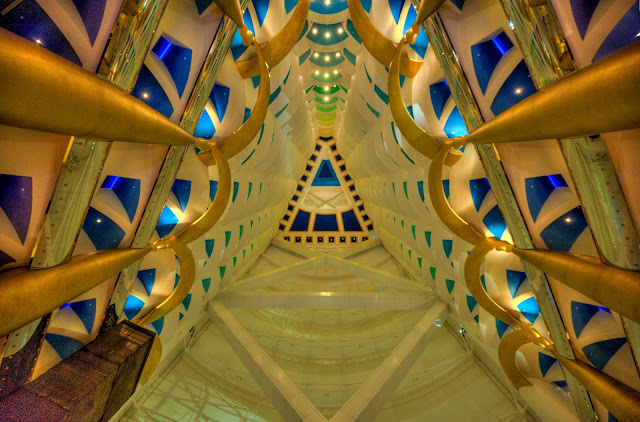 Looking up from inside the lobby of the Burj Al Arab. It looks like a corridor you fly down to meet God. Everything is made of gold. 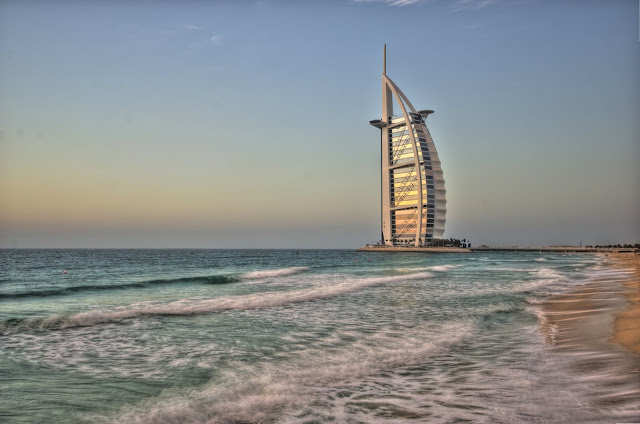 The Burj was Dubai's first point - where they said, "Look here at what we are doing in the desert, it is time to start taking the Emirates seriously." There is even a 40 page pillow menu in the rooms.